The title for this one is pretty self-explanatory. 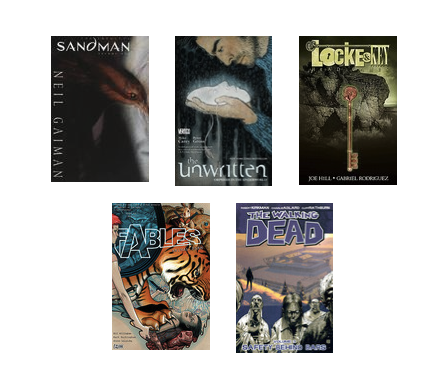 I have recently found myself in the midst of some great comic series and wanted to share how I've been liking them. It's mostly a mixture of fantasy and science fiction, so be prepared for that. how I'm liking it so far: I just recently posted a book rave on this, so it's no secret that I'm really enjoying it. 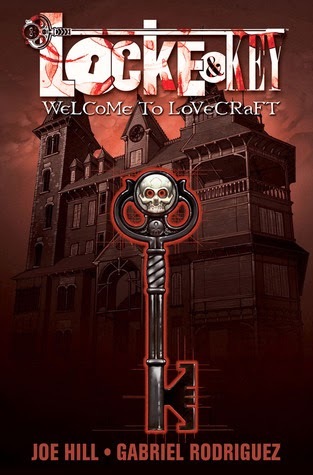 It combines urban fantasy with a hint of horror. Great characters & great art. I think it's going to become an all-time favorite. how I'm liking it so far: Thus far, I'd give this comic series a rating of 2.5-3 out of 5 stars. 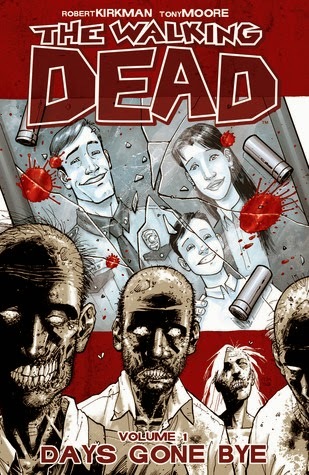 It's enjoyable, but it lacks interesting characters and anything that (so far) makes it unique in the world of zombie stories. Predictable so far. Nonetheless, I'm still having fun. 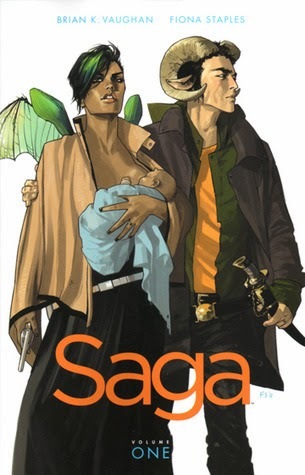 Saga - Brian K. Vaughan, et al. how I'm liking it so far: I enjoy Vaughan's work, and this series is no exception. Of all the comics I have read/am currently reading, this one has one of the most unique premises. I may like it more than Y: The Last Man. 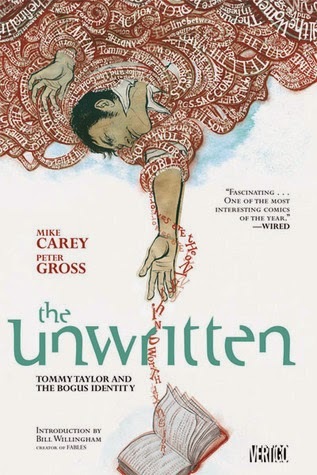 The Unwritten - Mike Carey, Peter Gross, et al. how I'm liking it so far: To sum up my thoughts on The Unwritten: great concept, so-so characters. I love stories about storytelling/writing/etc., and the story of The Unwritten is very captivating. However, I think the characters greatly lack depth. I don't care much for the main trio. They're not a horrible cast, just nothing all that relatable or real. That aside, I still greatly enjoy this series. 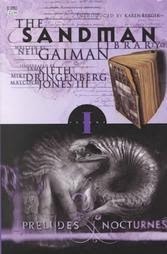 Sandman - Neil Gaiman, et al. how I'm liking it so far: I actually greatly enjoyed this series. I finished the third volume when I was amongst finals and just never picked it up again afterwards. It's one I'd prefer to reread from the beginning, and one I definitely will be coming back to. 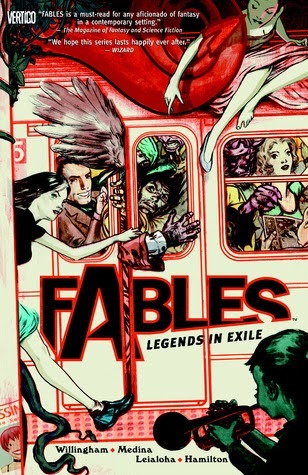 Fables - Bill Willingham, et al. how I'm liking it so far: The story of my attempts to read this book is a frustrating one to tell. I read the first volume from the library, and immediately put the second on hold. It stayed on hold for several months (even though I was first on the waitlist), and suddenly disappeared off my list one day. I was so annoyed, I didn't bother to try and obtain it again. I did enjoy what I have read so far, and will look to continue this series again sometime this year.